2015 is gearing up to be the biggest year in movie history as returning blockbuster franchises ("Star Wars," James Bond in "Spectre," "Mission Impossible," "Mad Max: fury Road") jostle with sequels ("Avengers: Age of Ultron," "Furious 7," "Hunger Games: Mockingjay Part 2") and highly-anticipated newcomers ("Fifty Shades of Grey," Quentin Tarantino's "The Hateful Eight") for box office dollars. "I have never in the 20 years that I have been following the movie business professionally seen a year that is so packed with potential blockbuster films like 2015," says Dave Karger, Fandango chief correspondent and host of "FrontRunners." The film moviegoers are most excited to see in the new year? "Star Wars: The Force Awakens" according to Fandango's list of 2015's most anticipated movies. The online ticketing company found that the upcoming seventh episode of the "Star Wars" franchise left all in its wake, including the "Avengers" sequel, in a survey of more than a thousand fans conducted in the last week of December. "Having [director] J.J. Abrams, a new filmmaker coming on board the “Star Wars” franchise, is really exciting and even people who didn’t love the last three movies are still excited about this upcoming one," says Karger. Rounding out Fandango's top five most anticipated films in descending order are "Avengers: Age of Ultron," "The Hunger games: Mockingjay Part 2," "Fifty Shades of Grey" and "Jurassic World." Such anticipation is good news for movie studios following a lackluster 2014 that could see box office totals down for the first time since 2011. "It was a little disappointing," says Eric Wold, B. Riley & Co. senior analyst (media & entertainment). "We set a record in 2012 and 2013 and coming in to 2014 expectations where down a little bit. You had tough comparisons [year on year]. The slate of movies was not strong. A number of films that were scheduled for this year got moved to 2015 and even something like "Fast and Furious 7," which clearly would have been a top 10 movie, was moved into next year. ... [Box office] is probably going to finish down somewhere in the low to mid single digits – probably four or five percent." "Commercially it wasn’t the best year," Karger says of 2014. "It’s been a while since we haven’t had a year without a $400 million domestic film. We saw several big franchise films not perform as well as their predecessors, like 'Transformers' or 'Hunger Games' or 'Spider-Man' or 'X-Men,' and three of the biggest hits were something of a surprise: 'Guardians of the Galaxy' of course, 'Captain America' and the 'Lego Movie.'" Karger believes studios and exhibitors are not overly upset about a disappointing 2014 because they know they have an incredible slate of films with wide market appeal on the horizon. "Obviously most of the big tentpole movies of 2015 are going squarely for a young male demographic, but there are also adult movies like James Bond or 'Fifty Shades of Grey.' There’s female-oriented films like 'Insurgent,' potential family blockbusters like 'Minions' and the new Pixar movie 'Inside Out.' So it’s not going to be all super hero movies all the time." Be it the strength of Iron Man and Thor or the seductive charm of Christian Grey, audiences looking for an event experience are prepared to pay a premium to view their favorite characters in Imax or 3-D. 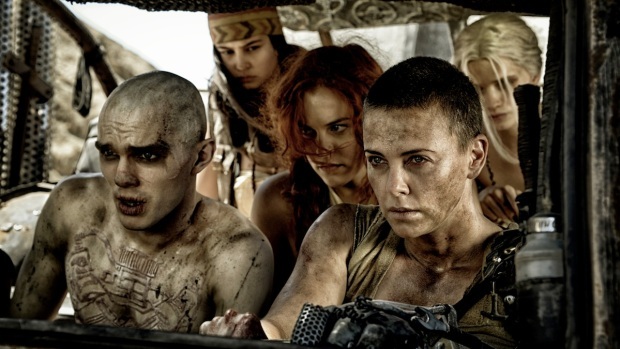 Starring Tom Hardy, Charlize Theron and Nicholas Hoult, "Mad Max: Fury Road" smashes into theaters on May 15, 2015. "Even though the box office has been relatively weak in '14, if you look at the performance of Imax and 3-D, if you look at the underlying percentage at the box office, these movies are improving," says Wold, who projects we'll see a mid to single digit overall box office increase in the coming year. "We have found that with the right film, a film that really demands to be seen on the big screen, and or in 3-D, that can really help the box office," says Karger. "As many big event movies that the studios can produce or make it so that audiences feel that they need to see it in 3-D or Imax, the better for the industry." Adding to the predicted success of 2015 is a release schedule relatively free of major date competition. Without blockbusters debuting on the same weekend audiences theoretically have an easier choice. It's a practice the major studios have widely embraced with key release dates now claimed through the end of the decade. According to Wold, studios have learned that it doesn’t make sense to try to fight against each other. "Just last week DreamWorks Animation moved one of its better franchise movies, 'Kung Fu Panda 3,' out of 2015 and into the following year to get out of the way of 'Star Wars.'" "For companies like DC and Marvel who have so many active properties, if they can get out in front and stake their claim on certain important dates, even five, six years in the future they are going to do it," adds Karger. A glance at what is slated for 2016 shows studios continuing to bank heavily on blockbuster franchises and sequels. 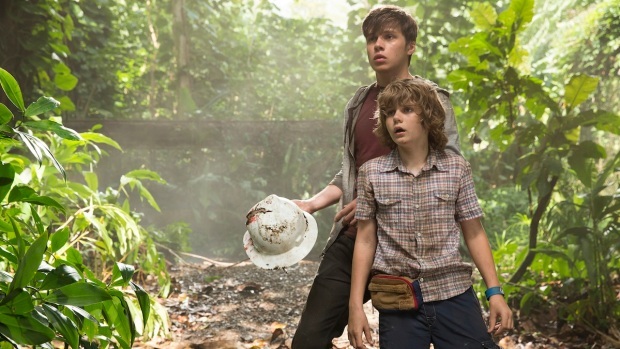 "Jurassic World" is scheduled to be released in theaters on June 12, 2015. "People are excited about '15 with James Bond and 'Star Wars' and 'Avengers,'” says Wold. "Then you look at '16 and you have another 'Star Wars,' you have 'Batman vs Superman,' you get 'Avatar' coming back. Sequels work and as a studio you have a lot less risk reworking something like 'Terminator' than producing an original title."